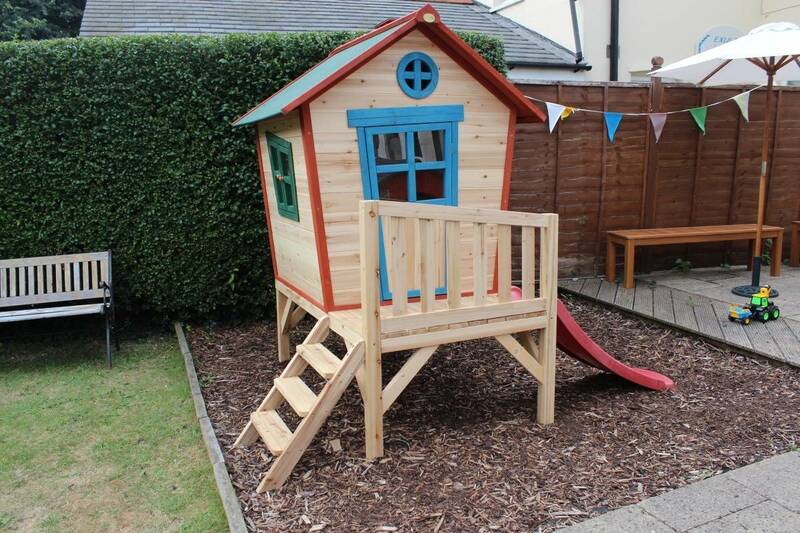 Every child loves a playhouse and I have always wanted a big wooden one in the garden. We were planning on getting one for the children as a treat when we do our extension, to make the upheaval and change a little easier for them. 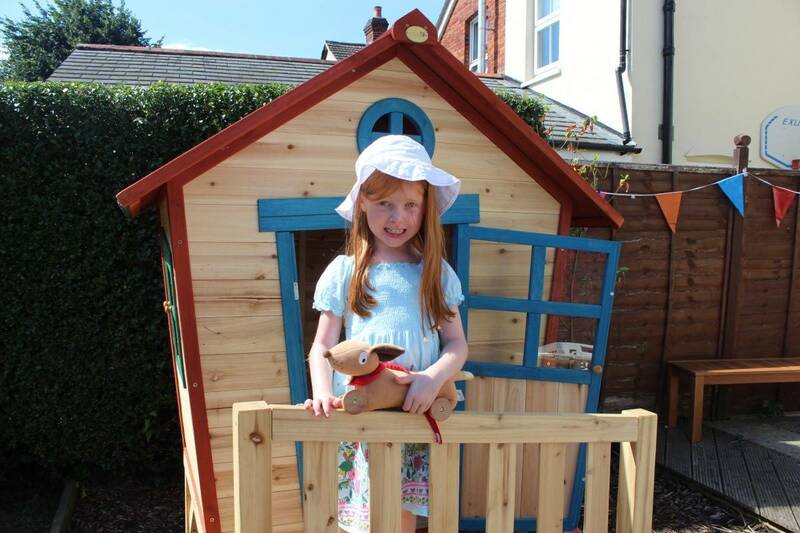 However, Big Game Hunters got in contact and asked if we’d like to review one of their great playhouse range and we decided to bring the children’s treat forward – not that they minded at all! 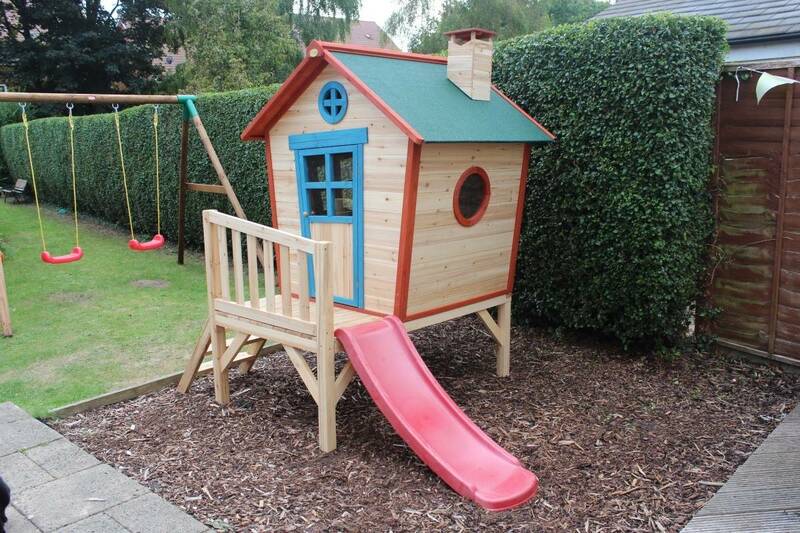 We chose the Redwood Tower Playhouse as it was a bit different to a traditional playhouse. It arrived really quickly and in about five packages. It took Hubby all morning to put together but if he’d had another pair of hands to help it would have been quicker and he said the instructions were really easily to follow. 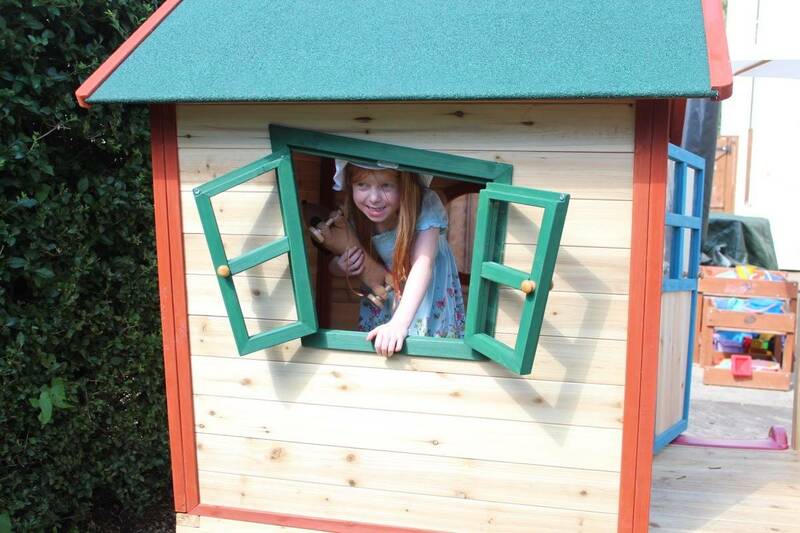 Once constructed the Redwood Tower Playhouse is a really solid addition to the garden and it looks amazing. The slanted sides, little chimney and wonky windows and door give it a really quirky feel and reminds me of houses in nursery rhymes. The children loved the house immediately and I loved how much there was to keep the children occupied as well as how safe the Redwood Tower Playhouse is. I love that there’s a fence to keep the children safe on the veranda outside the front door and the steps are just the right steepness for the children to climb easily. 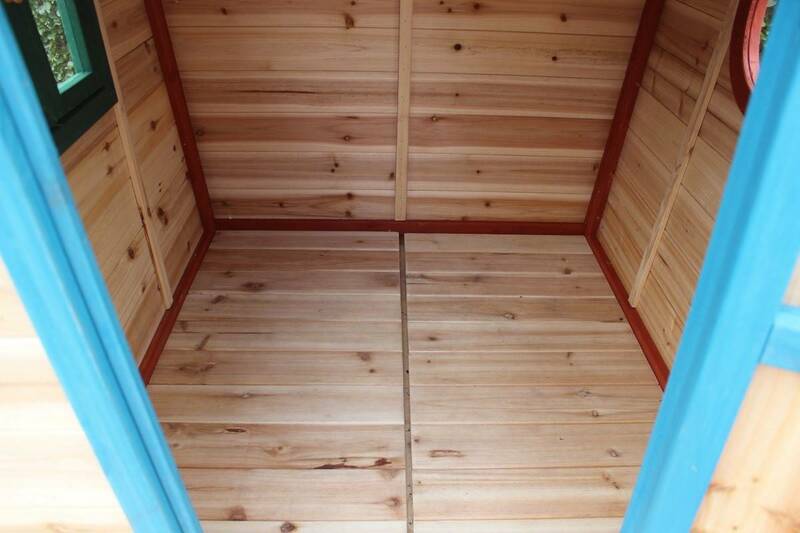 It also has a really solid floor inside, making it the perfect place to play. 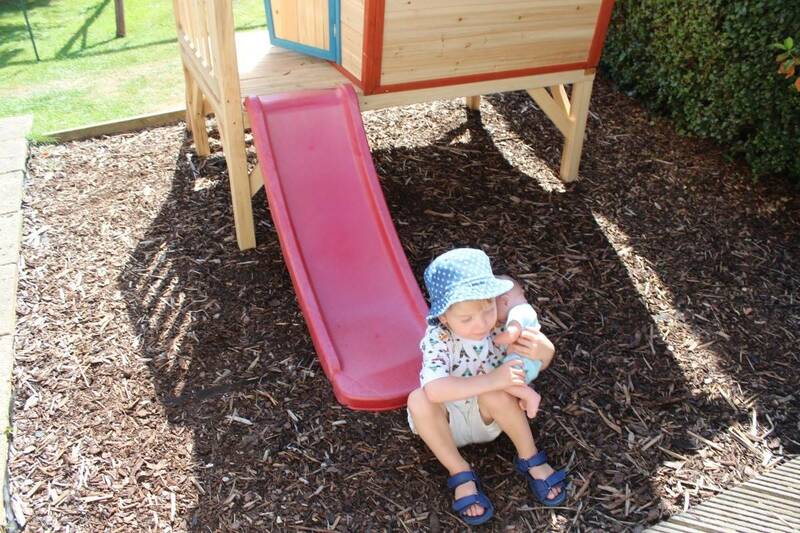 LP and Little Man loved the slide and the amount of games they have played using the house as a base has been amazing. Their imaginations are incredible! They’re able to hide under the house, play in the house and even talk to each other through the window. 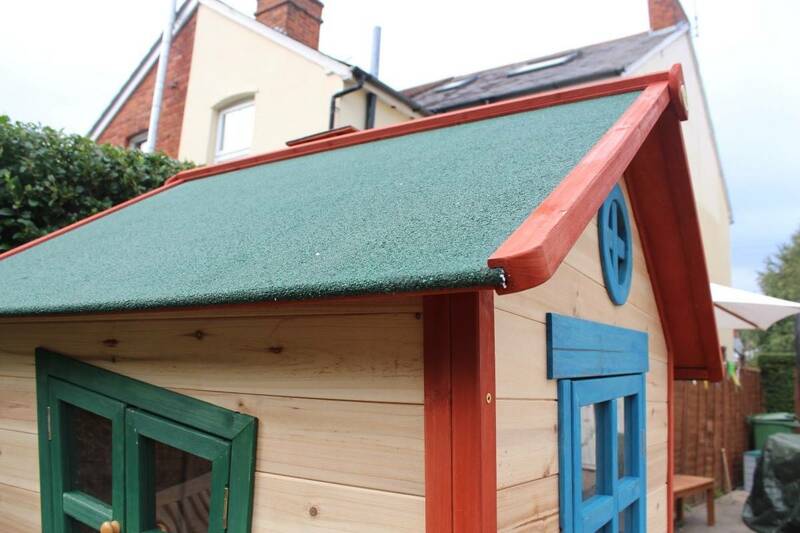 The actual playhouse is really weatherproof – with incredible high quality felt on the roof. We’re able to pile all the outdoor toys in the playhouse in the evening knowing that they’ll be safe and dry if the heavens open overnight. 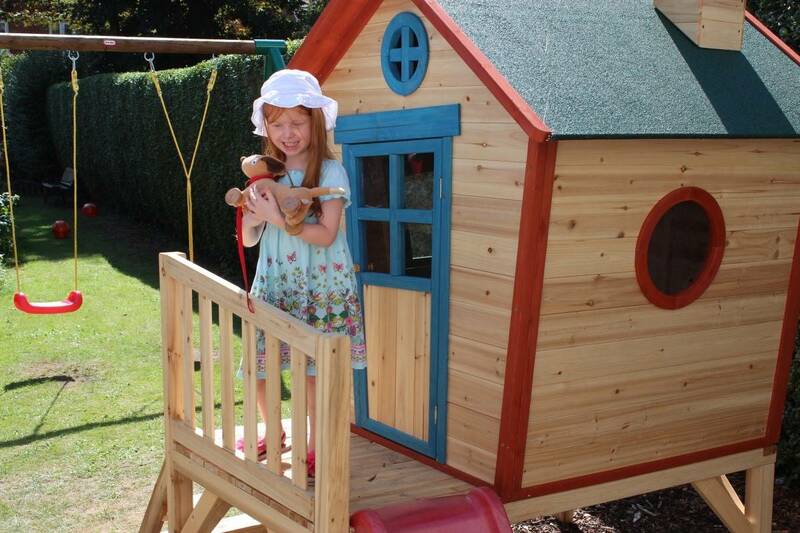 The children love the Redwood Tower Playhouse and it really is the focal point of the garden now. It’s finished off their summer nicely and I know they’ll be playing with it as much as possible before the winter sets in and every year for years to come. 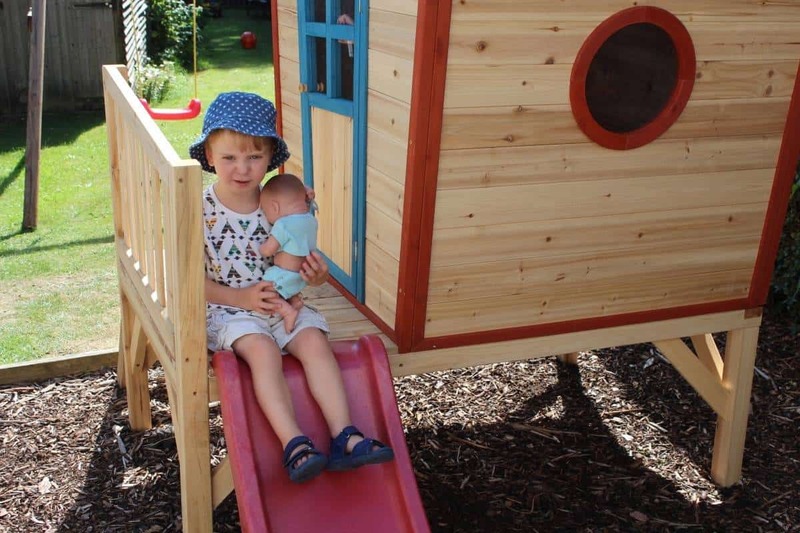 They both easily fit inside it standing up and it would be a great investment for any family garden. 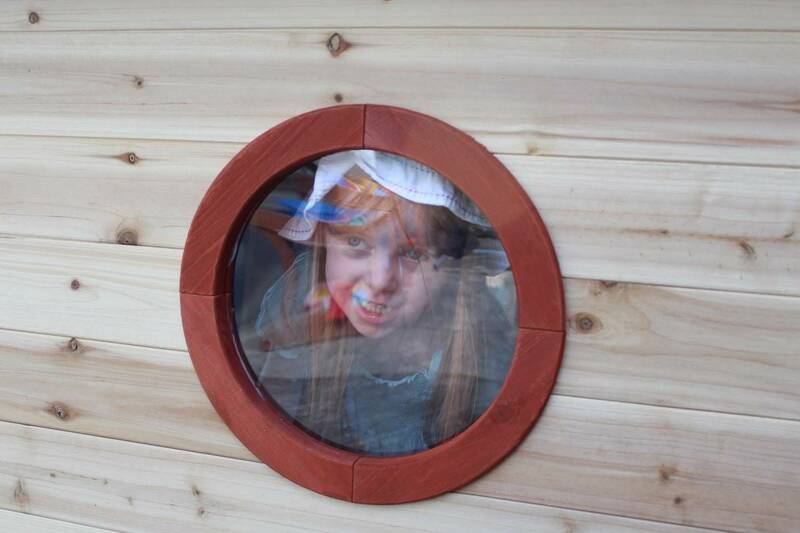 Disclosure: I received a discount on the above playhouse however all opinions are my own. This is fab! I love the ones that are off the ground a little. Aw bless that’s so cute. Mine have a little plastic playhouse that they have hours of fun in, but that wooden one looks awesome, I particularly like the fact it’s got a slide!